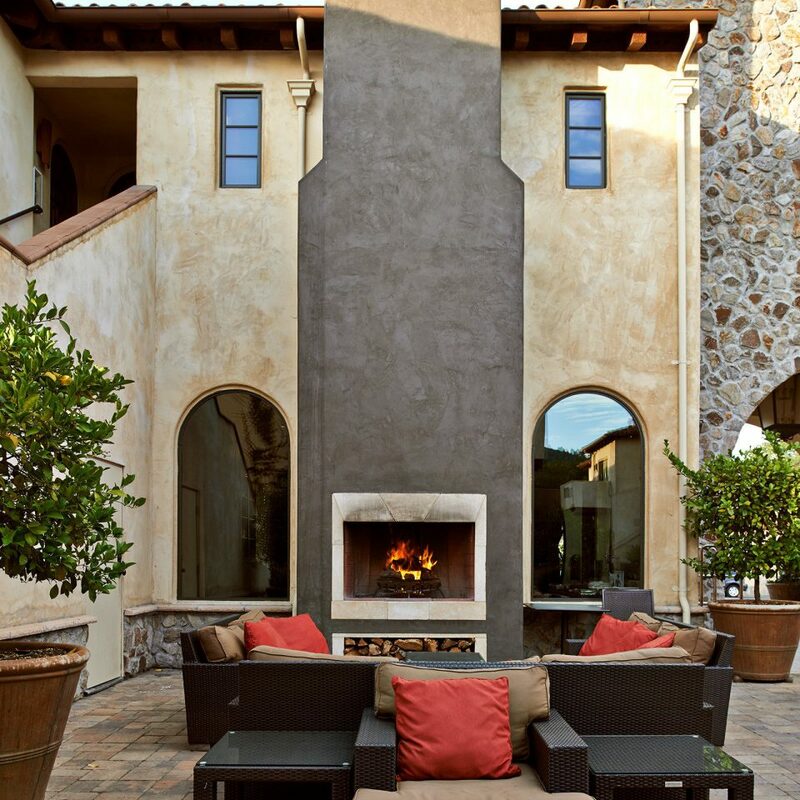 Designer Erin Martin transformed the once Tuscan-leaning Hotel Luca into a sophisticated aerie. 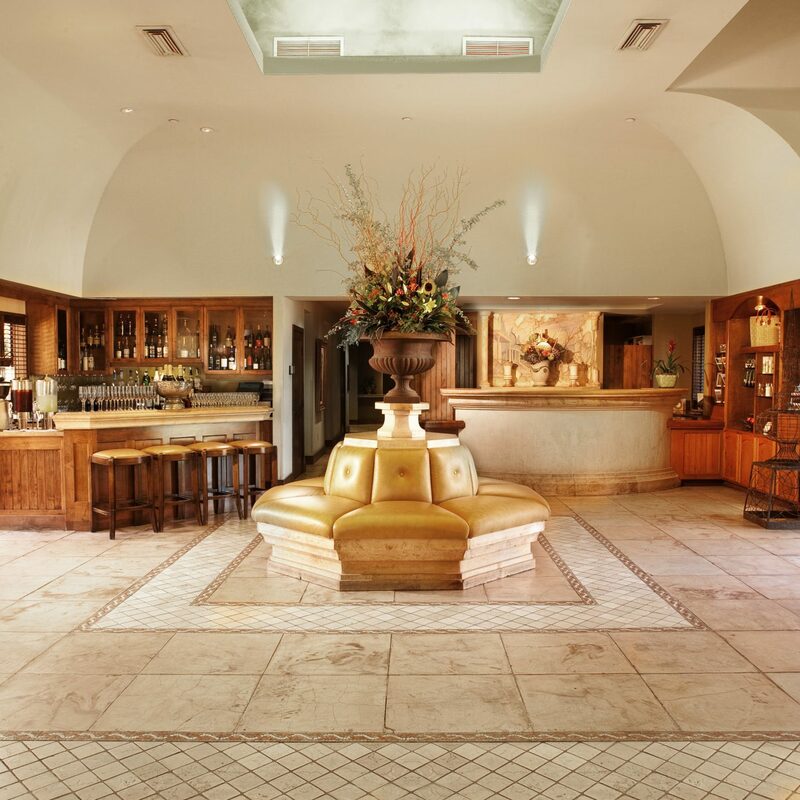 The lobby epitomizes the minimalist modern styling, with earth tones interrupted by the occasional subtle animal print, while a shimmering wall hung with an impressive collection of brass skeleton keys sets the tone behind the concierge desk. The keys may be for show, but the hospitality is as sincere as it gets. 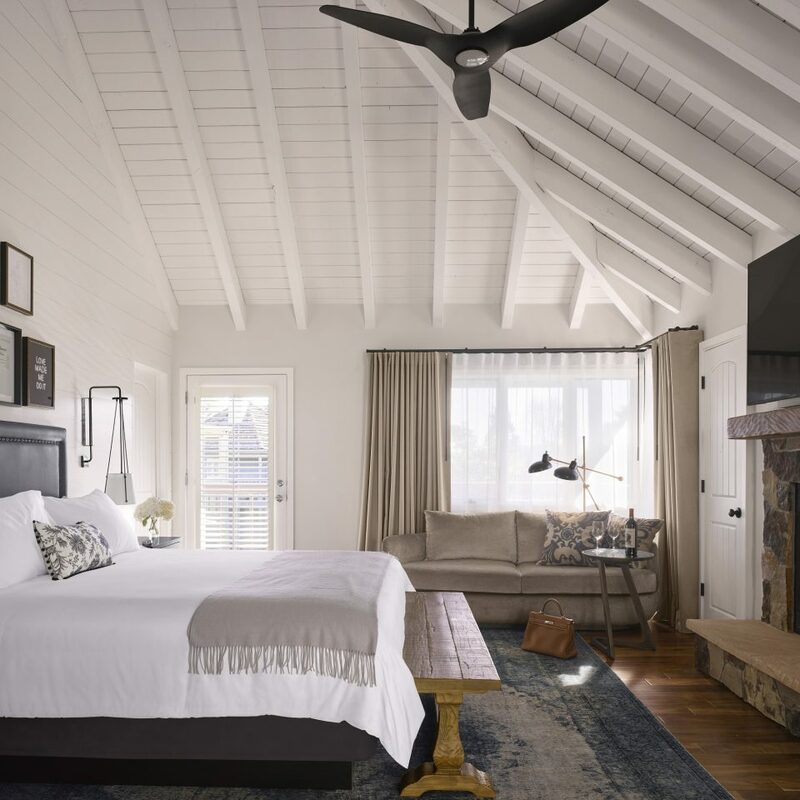 Guest rooms start with whimsical touches, such as the awesome heavy wooden room doors with grated peep doors (think the gatekeeper in The Wizard of Oz), but the overall impression is muted. 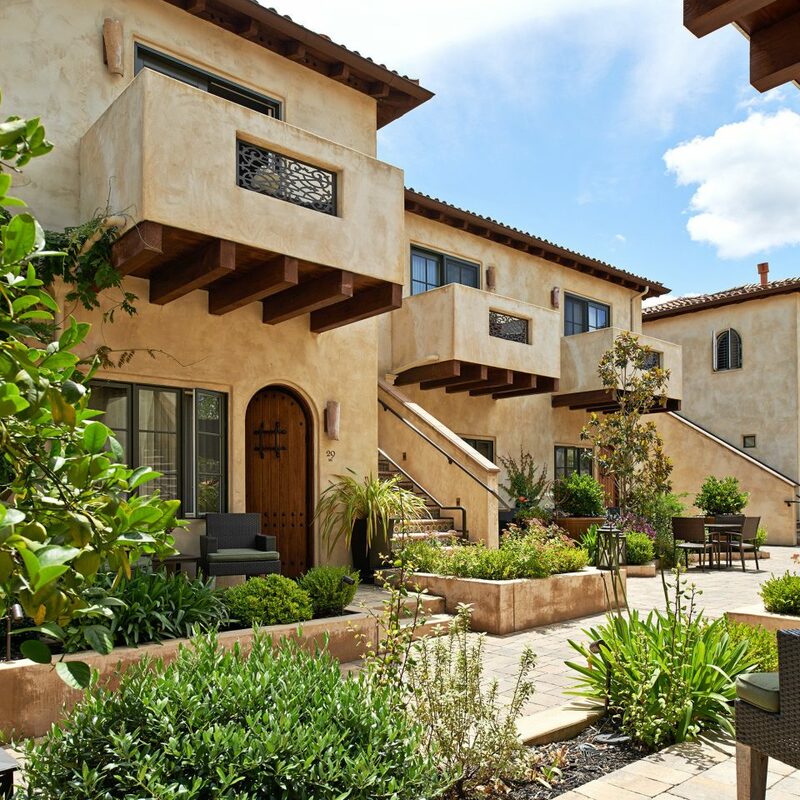 The best touch is the private patio or balcony with garden or property views. 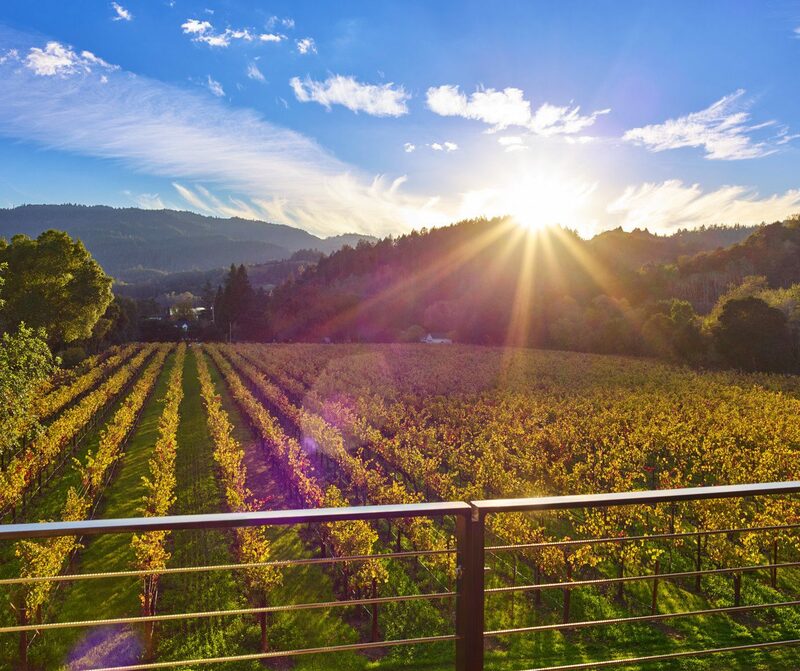 It’s tough to get much deeper in the heart of the food- and wine-obsessed Napa Valley than Yountville with its multitude of Michelin-starred eateries. 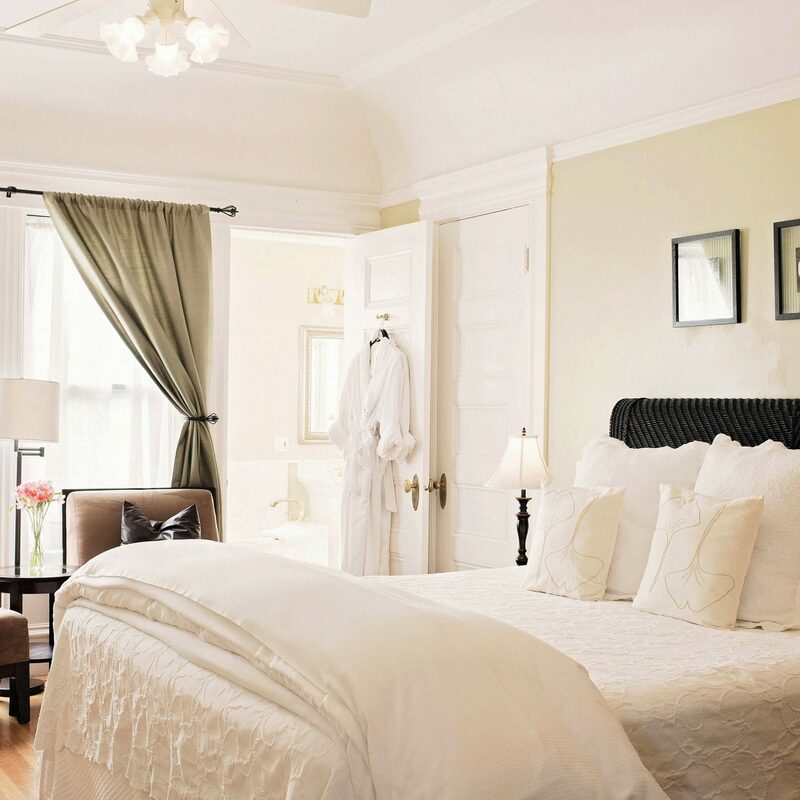 And North Block Hotel, along with its integrated restaurant, proves that there is much more to this tiny town than a string of Thomas Keller restaurants (though, of course, there are those, beginning with the justly world-renowned French Laundry). Let the crack concierge help plan your eating itinerary. They’ll go the extra mile by securing reservations anywhere—after pouring a free glass of prosecco, of course. 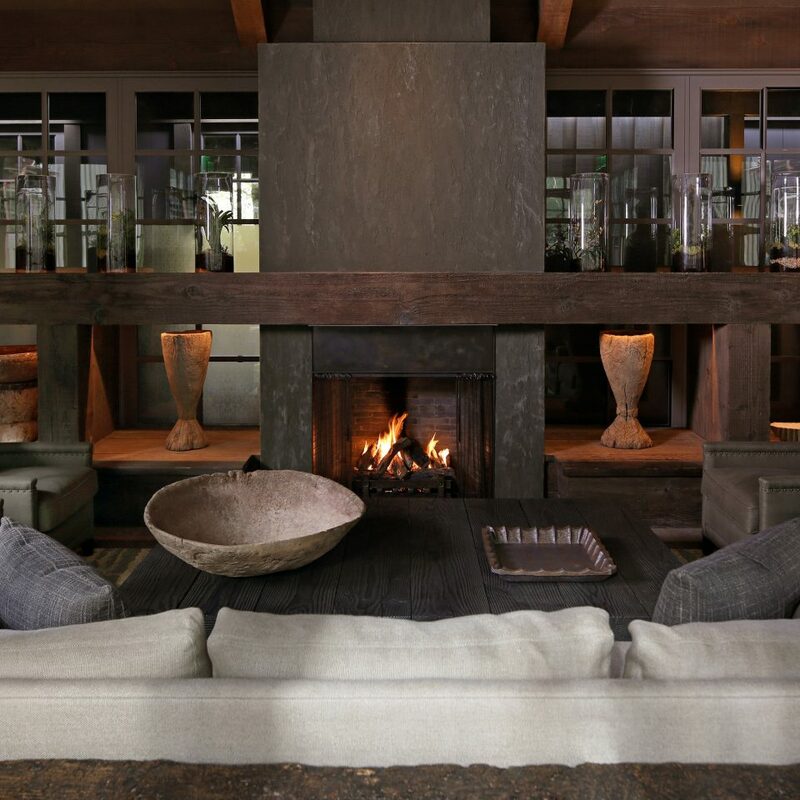 Don’t miss Richard Reddington’s joint, Redd Wood, located right in the North Block. The chef has added rustic pizzas, pastas and house-cured charcuterie to his modernist palette. But don’t stay in for your whole trip — there are six Michelin stars within walking distance. The French Laundry rocks three of them, and Bouchon and the California cuisine of Redd have each been awarded one. Right next door to North Block is Ma(i)sonry, a lively wine collective and art gallery where one can taste offerings from various area wineries amid a sculpture garden and gallery setting. Call (or ask the concierge) for a tasting reservation. 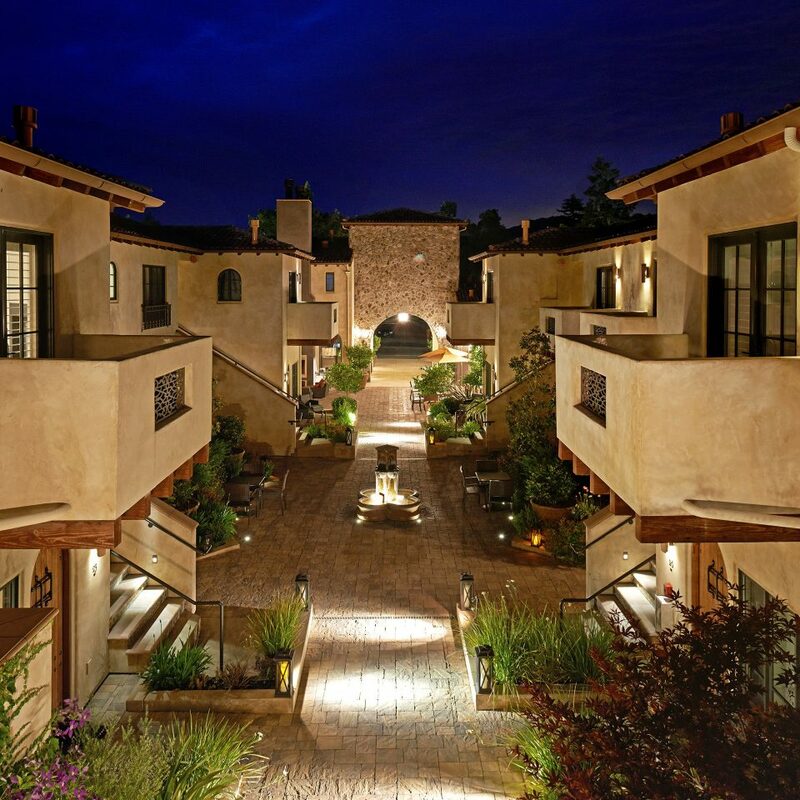 For a truly unique experience, visit the historic Rubicon, one of the oldest consistently operational wineries in the area. 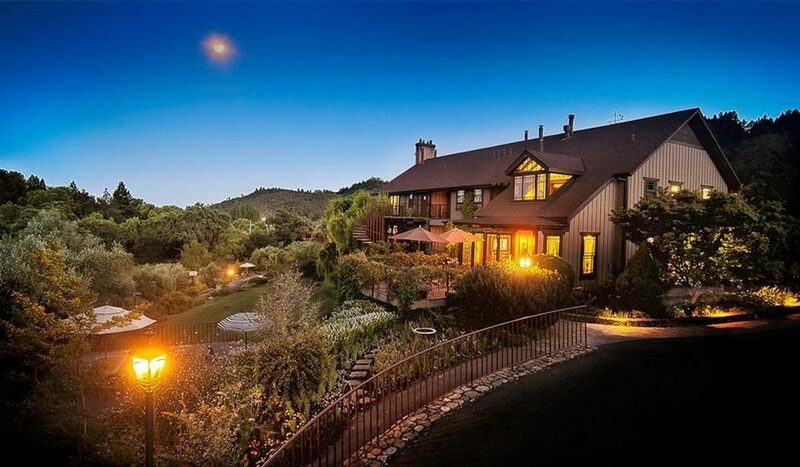 (Formerly Inglenook Chateau, which was built in late 1800s, it was purchased by the Coppola family in the 1970s and fully restored.) Take a break from all the haute cuisine and stop at Tacos Garcia, a taco truck perennially perched outside Yountville’s one (and only) dive bar, Pancha’s (which is, conveniently, within nightcap distance of North Block). Enjoyed 3 nights here and really enjoyed the personal yet unobtrusive service. A warm welcome on arrival and a very nicely appointed room which was quiet and comfortable with lots of little things that we appreciated; excellent toiletries including facial wipes and a candle for the bath. A simple but adequate breakfast in Redd Wood - we also enjoyed an excellent dinner there one evening. 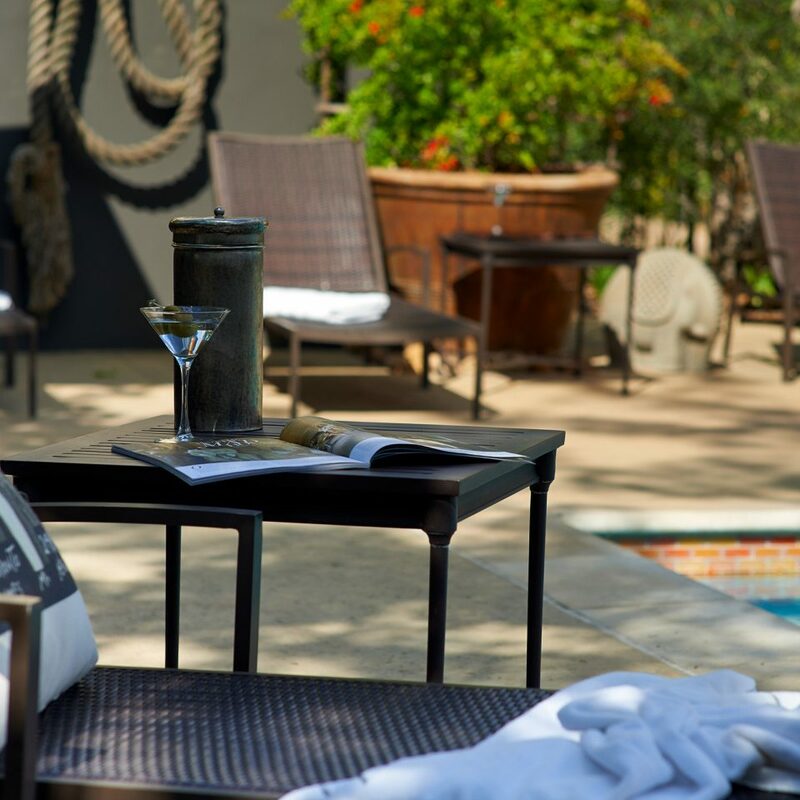 A lovely pool area for relaxing after a day including an early start for a hot air balloon ride and afternoon wine tasting. Just an overall feeling of being welcomed by a team who clearly regard the custom of their guests and go out of their way to be helpful without overbearing - a gem of a place. I spent a lot of time planning an anniversary trip to Yountville area. I went back and forth between the North Block and another hotel down the street and I am so glad we went with the North Block! 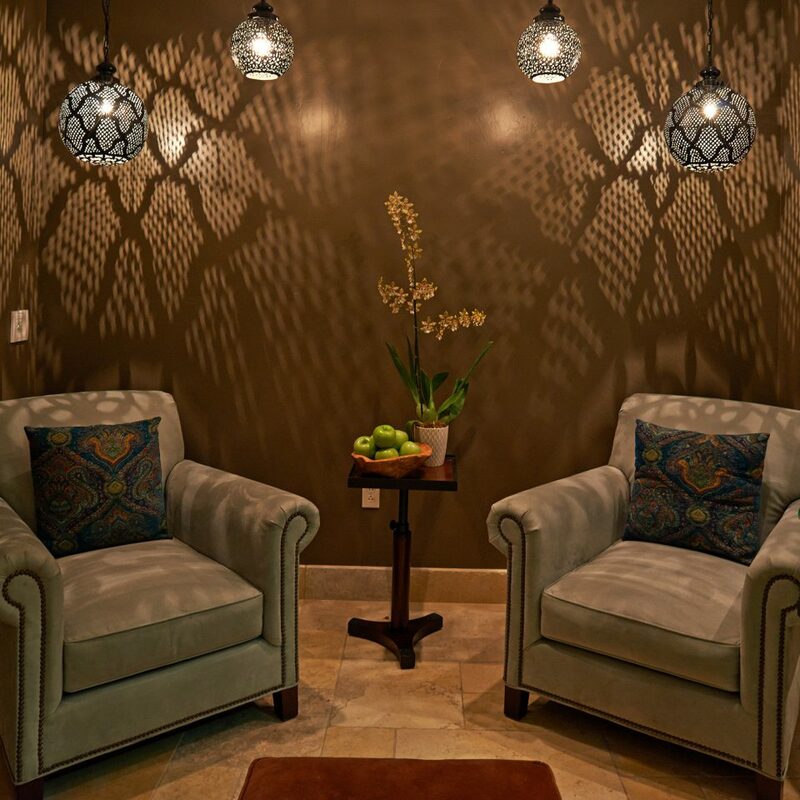 From the moment we stepped into reception, we were treated in a way that made us feel very special. The welcome glass of champagne, the upgraded room with a special note welcoming us and congratulating us on our anniversary - it kept going from there! The room was awesome, with a fireplace and large balcony, a very comfortable bed (those pillows and the feather bed - my husband jokingly said he wanted to take it home with us) and a huge bathroom with heated floors - a nice touch to say the least! 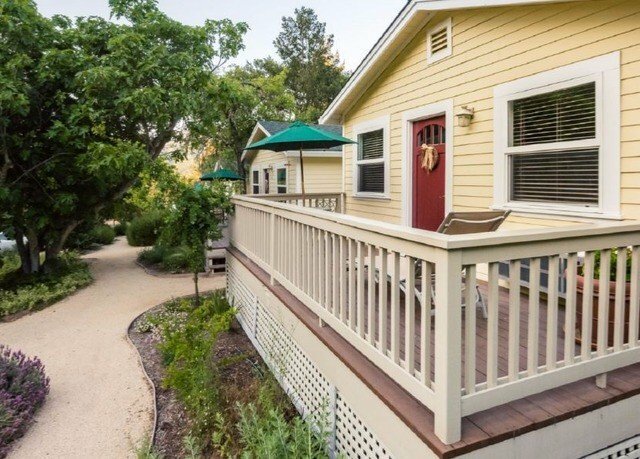 The location was perfect for exploring Yountville and the surrounding area. Do yourself a favor and use the complimentary electric bikes to explore Yount Mill Road - so beautiful. 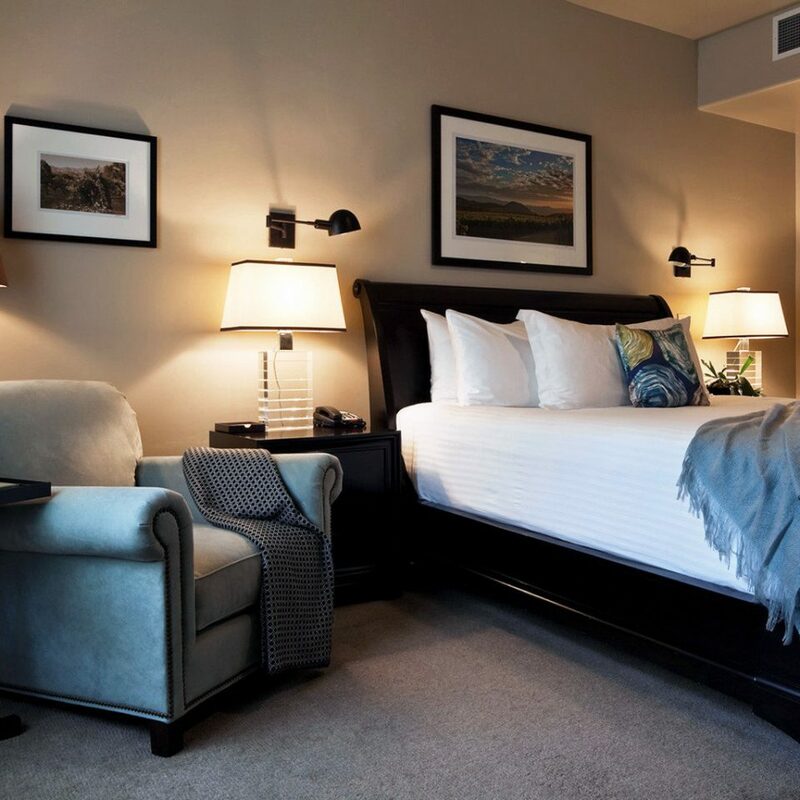 The service provided at the North Block and ouor room (#35) exceeded our expectations and we will most definitely return and recommend the North Block Hotel. 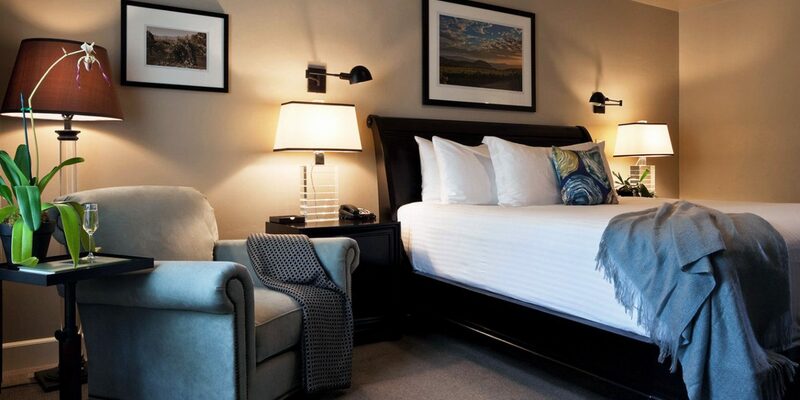 I visited Yountville with my girlfriend for a 5 day holiday and enjoyed every moment of our stay at North Block. From the moment of our arrival (in fact even earlier in the day when we received a call letting us know that our room was ready for us) the service was exceptional. The room was intimate and beautiful, the amenities wonderful and the turndown and treat always a pleasure. The property is well maintained and remarkably well thought out. We enjoyed relaxing by the pool, riding the complementary electric bicycles and chatting with the staff. The recommendations on wineries and local activities were also right on and very helpful. We also thought that the restaurant was excellent-just right for the hotel. 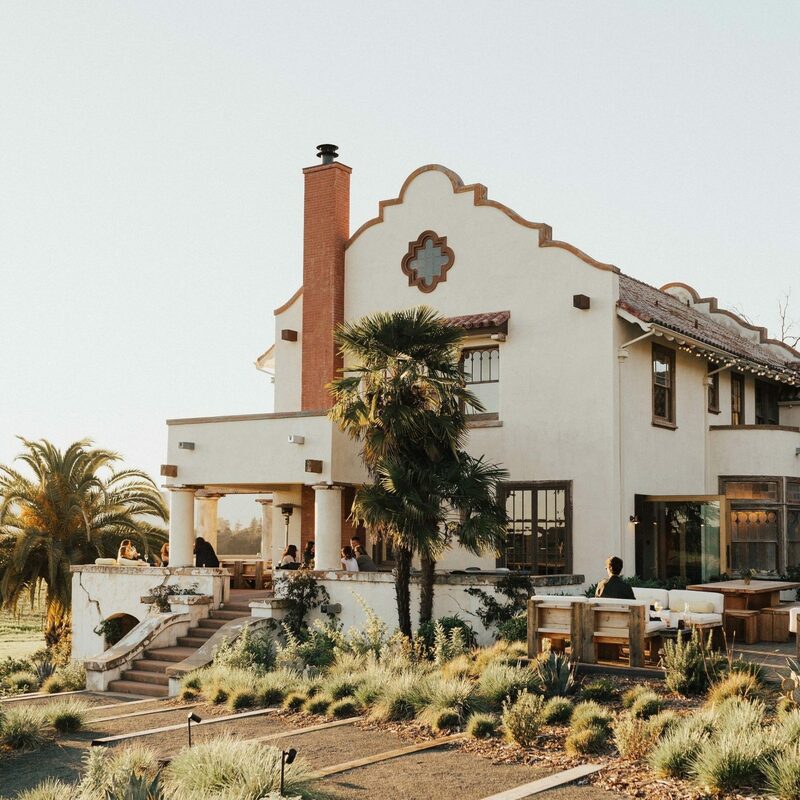 While Yountville of course enjoys having French Laundry and Bouchon amongst others, having a fun, delicious and low key restaurant on site was just perfect. Even the complimentary breakfast was wonderful, though perhaps a bit too wonderful (Bouchon Bakery baked goods and delicious cheese). Enjoy. You won't regret it. 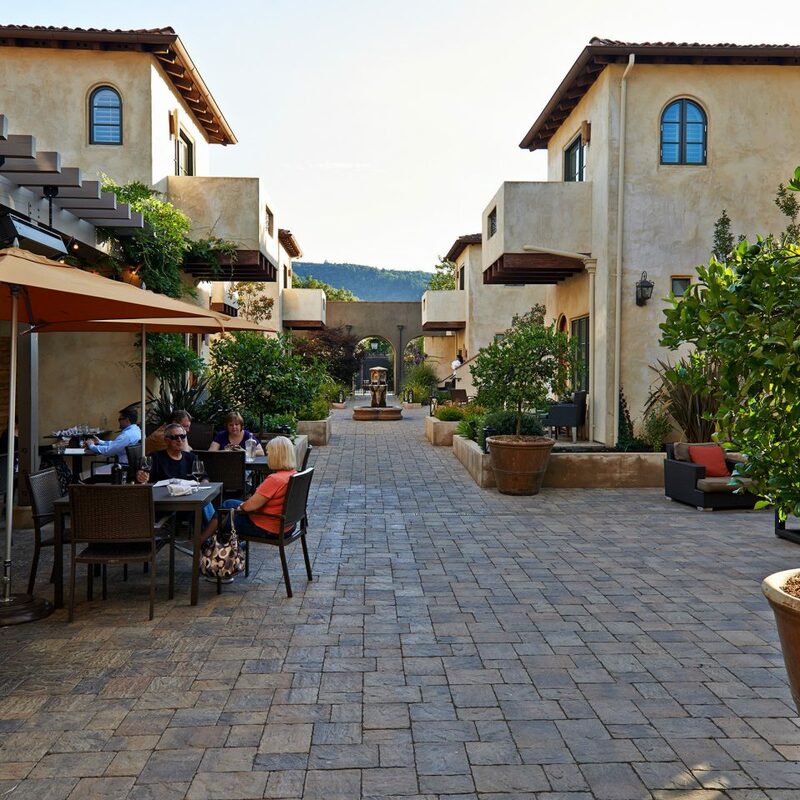 We’ve been coming to Napa for years and stayed in everything from luxury boutique to national chains. North Block is my forever place! The facilities are nicely done and has everything you need for a comfortable stay with easy access to the whole valley. The real plus is the staff. They are terrific! Genuinely welcoming; quick to jump in to get restaurant and tasting reservations (even at the last minute); always ready with a glass of wine or whiskey. I may not go home!